A Florida-based healthcare company that could receive a $60.3 million state contract to run a 21-bed Maine residence for some psychiatric patients is fighting to keep its proposal secret. Gov. Paul LePage's administration is moving forward without legislative approval or appropriated funding on plans to build a new, one-story residence on the Dorothea Dix Psychiatric Center campus in Bangor for some psychiatric patients who no longer need hospital care. The governor, lawmakers and advocates have long agreed the secure residence could shorten waitlists and ensure millions in jeopardized federal funding for a state psychiatric center that lost federal certification. Deerfield Beach, Florida-based Correct Care's push to prevent full disclosure of its staffing and cost proposals comes as the LePage administration remains silent on the governor's latest plan, including how the residence will be staffed and how the state will pay for it in years to come. Such silence has left questions unanswered for a number of residents who have lived at Riverview Psychiatric Center for years and could live at the home. The Associated Press, through a Maine Freedom of Access Act request, obtained last month a redacted version of Correct Care's 2017 proposal to run the residence. The company says its proposal would increase with inflation by 2.5% each year and cost taxpayers less than daily stays at the state's two psychiatric centers, according to the redacted proposal. The state agency had told the company that all submissions are considered public records under state law. The department has not responded to repeated requests for updates on the administration's plans. The company wants to prevent the release of its list of current and closed lawsuits — and full disclosure of its staffing, cost and operations proposals — because it says they are "trade secrets" whose release would benefit its competitors and hurt its ability to compete for public contracts. The company itself had marked some of its submission "confidential" and is also pushing to keep other parts of its proposal secret. "Taken together, the staffing, hiring and retention information of Correct Care is confidential, proprietary information developed at substantial expense by Correct Care," said Correct Care attorney James Healy as he objected to the AP's records request in a May 11 letter to the Department of Health and Human Services. The LePage administration selected Correct Care to run the one-story residence with the goal of opening in March 2019. The LePage administration originally selected Cianbro as the builder, but Bangor developer Tom Ellis planned to start building the residence this summer under plans approved by Bangor in June. 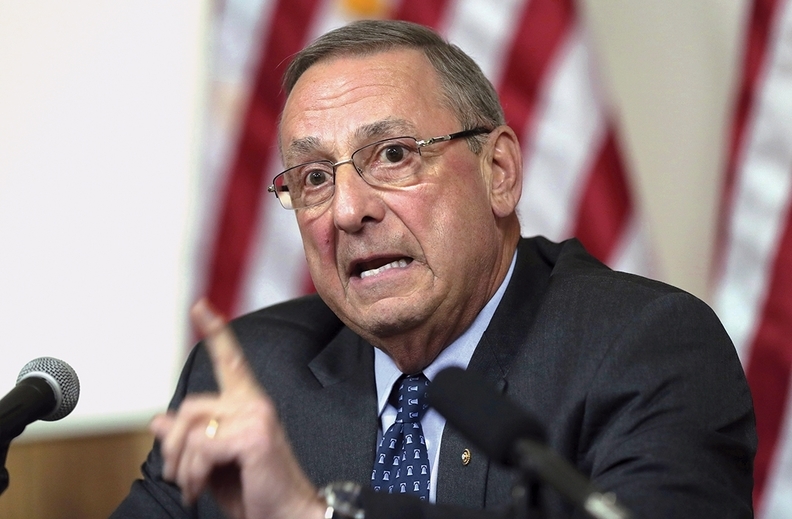 LePage originally proposed to build a $3 million to $5 million residence at Riverview Psychiatric Center in Augusta, but decided to build it in Bangor after lawmakers in 2016 blocked his proposal. Lawmakers said LePage needed special approval to build a new building specifically in Augusta and demanded that the LePage administration publicly answer questions about his plan, but LePage said lawmakers were just playing political games after years of discussion about the residence. Democratic Attorney General and gubernatorial nominee Janet Mills said the governor needed legislative approval to build a new state building anywhere in Maine. It's unclear how much it will cost to build the residence, and Bangor has not issued a building permit. The LePage administration has said only that it will use leftover funds of the Department of Health and Human Services to pay for the residence. The facility could house individuals with severe and persistent mental illness who were court-ordered to live at state psychiatric hospitals and now seek a lower level of treatment before returning to their community. A team evaluating Correct Care's proposal last year raised concerns that the company didn't provide plans for job coaching or propose enough mental health and therapeutic security technicians. Daniel Wathen, who oversees the rights of mental health patients at Riverview, said he is awaiting a final, 10-year contract outlining staffing and operation plans to ensure such rights are protected. The company says it would hire enough people to ensure the safety of residents and staff. But the redacted proposal didn't show how many staffers it would hire. "Given the high profile of this population over the past four years, and concerns voiced by the Bangor community regarding the envisioned facility, we strongly believe that the proposed staffing complement is necessary to ensure a safe, therapeutic environment and to allay any potential concerns related to public safety," the company said in its redacted proposal.